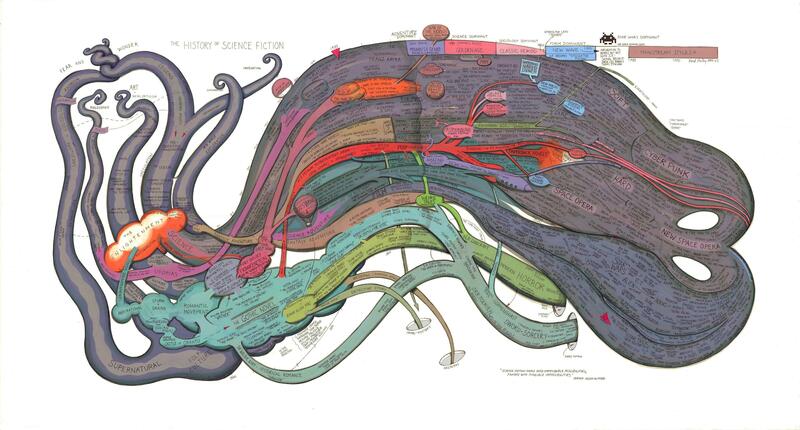 A Visualization of Terry Pratchett's Discworld Series but the site itself also has other cool infographics. Great use of Tableau - what a cool program. Color of magic is on the list still. Some day. I think it'll be hit or miss as to whether you like Pratchett. It'd be real cool if you did though. Where are the doctors, where are the engineers? Why they are vets, of course! Not sure this belongs here but Wilshire and I were talking about Google's analytics and the ability to track when new words and phrases show up in common usage a bit ago. The Indiana Jones Movies, Retold as Maps - with bonus links to Star Wars maps .